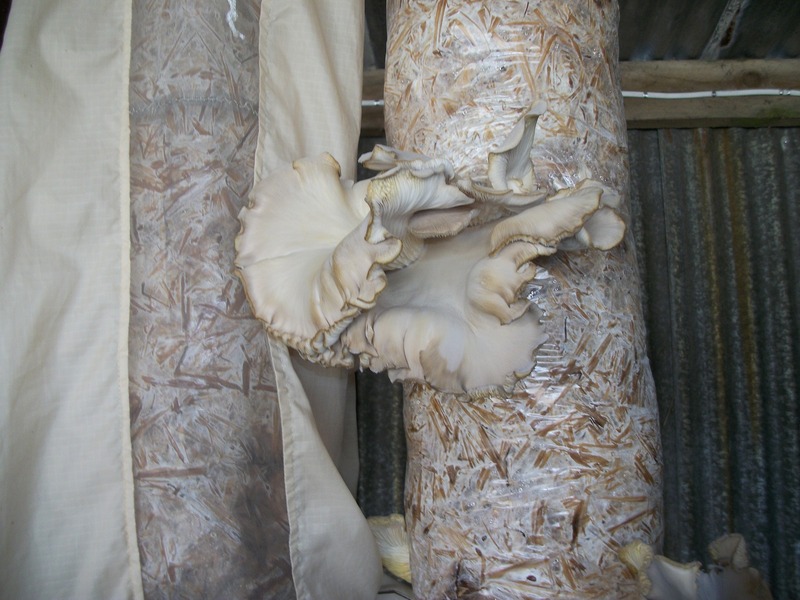 Way back in June I blogged about the mushroom growing bags I made from a repurposed tent. About a month ago, my husband and daughter started a batch of oyster mushrooms, and the bags were finally put to the test. Today, we had our first harvest from them—mushrooms as big as my hand! And not a single fungus gnat larva in them (which was the purpose of the bags—to keep the fungus gnats from eating them before we did). I can taste tonight’s mushroom stir-fry already!